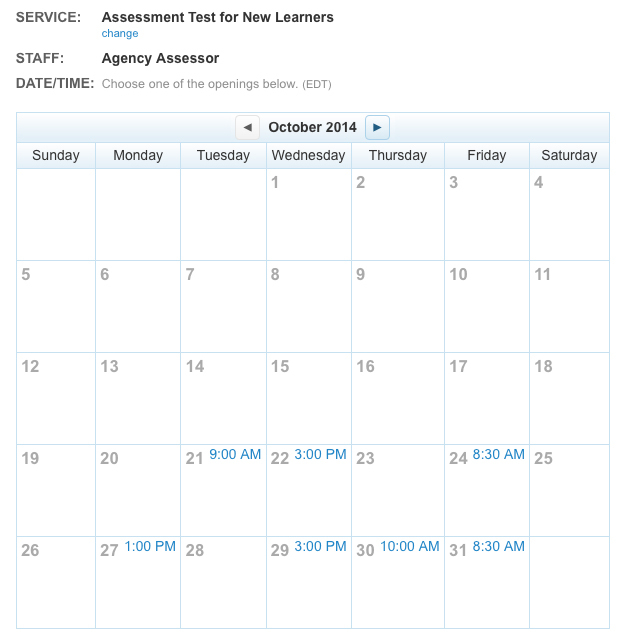 The first thing you need to do is schedule an assessment test. Choose a date below that works for you, then sign up. You will receive a confirmation email.